Wilcon Depot Inc. is set to debut at the Philippine Stock Exchange by the end of March with an initial public offering (IPO) priced at Php5.05 per share. The first IPO of the year, which began March 20 and lasts until March 24, is expected to raise Php7.03 billion in fresh capital for the country's leading home improvement and construction supplier. Wilcon's share sale was more than three times oversubscribed, Reuters reported, citing Justino Ocampo, first vice president at First Metro Investment Corp., one of the underwriters. It's a sign of strong demand from stock market investors, and it's not just because of the offering's modest pricing at the lower end of the target range. The company's solid growth prospects amid a buoyant market for residential property sales and home improvement are another factor that investors find attractive. No surprises there—not only does the company command more than 50 percent market share in the “bigbox” segment (referring to wide box-like structures often used by home improvement retailers), it has also overtaken mall-based stores such as Ace Hardware and Robinsons Handyman in terms of revenue. Wilcon reported revenues of Php14.5 billion for 2015, more than double the figure only four years prior. In the first nine months of 2016, revenues rose by a tenth to Php11.7 billion from the same period the year before. The company sells products that are hard to find elsewhere. Of the 2,000 brands the company carries, around 43 percent are exclusive to Wilcon in the Philippines, according to COO Rosemarie Bosch-Ong. In addition, the company has 16 in-house brands across all of its product categories. 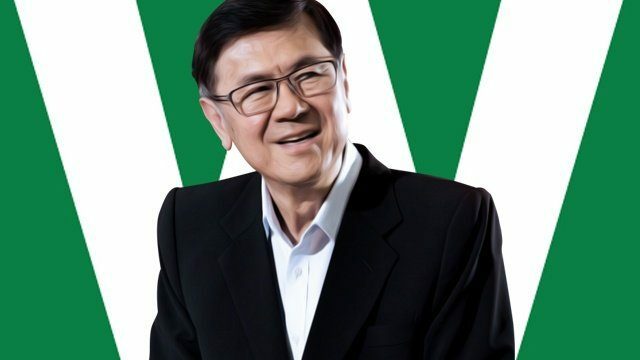 At the heart of the company is William Belo, its founder and chairman whom the company is named after—“Wil” for William and “con” for construction. 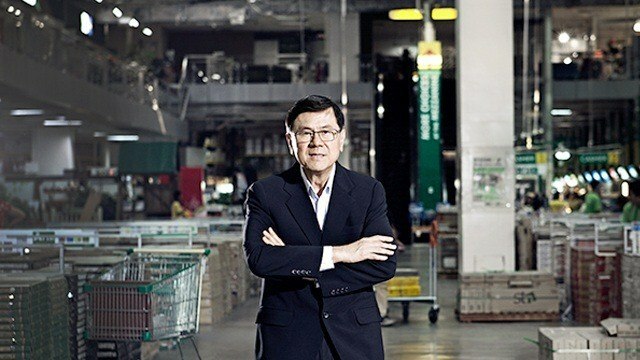 The 71-year-old electronics and communications engineering graduate steered the business in the last four decades from a small specialty shop to the market leader of the home improvement industry, thriving even through multiple economic crises and stringent importation laws in the 1980s. Related link: Want to Own a Piece of PH’s Biggest Chain of Home Improvement Stores? Wilcon Depot was founded in 1977 as a 60-square-meter hardware shop in Quezon Avenue. Belo, who ran the store with two cousins and an employee, said that he chose the location since it was near several residential communities in Quezon City that were still developing back then such as Fairview, West Triangle and Teachers Village. “You try to be where the action is,” Belo told Forbes Philippines in its July 2015 issue. Belo also tried something new: building a network of hardware stores carrying the same brand name. When other hardware store owners expanded into new areas, they usually handed over the new store to a family member who ran it as an entirely separate business. He opened the second Wilcon branch in 1979, a 400-square-meter branch near Corinthian Gardens. Two years later, he opened a third branch near the Muñoz and Balintawak areas, which was already 1,400 square meters in size. He also expanded his first store in Quezon Avenue from 60 square meters to around 600 square meters. Belo continued to open stores ranging from 1,000 to 2,000 square meters in size in the next 20 years, having a network of 16 branches around Metro Manila by 2000. High customer demand for a more varied selection of products led Belo to open the first Wilcon store with the bigbox format in 2002, a massive 10,000-square-meter shop located in Alabang. “The customer would come in and say, ‘Why don’t you have this product?’ They kept on asking for different kinds of products,” Belo told Forbes Philippines, which was what inspired him to turn Wilcon into a one-stop shop for home improvement supplies. The format is similar to that of hardware retailers in the U.S. such as The Home Depot, Lowe’s and Menards. Today, the company boasts a network of 37 branches nationwide. Riding the property boom that the country has experienced in the past few years, Wilcon now sees opportunities all over the Philippines. Of its 37 branches, 20 are located outside Metro Manila, most of which are in Northern and Southern Luzon. In addition, while a majority of Wilcon’s locations follow the standalone bigbox format such as the Alabang branch, the company also established a smaller format called Wilcon Home Essentials, which ranges from 1,500 to 2,500 square meters in size and is usually mall-based. As of end-2016, six Home Essentials stores dot Metro Manila. Belo plans to ramp up expansion in the coming years, with a bulk of the proceeds from Wilcon’s IPO being used to increase the company's store network. Lorraine Belo-Cincochan, Wilcon’s president and CEO and Belo’s eldest daughter, revealed in a press briefing last March 10 that the company expects to add 28 more locations to its portfolio in the next five years. Mark Andrew Belo, the company’s CFO and William Belo’s son, added that all 28 of these stores will be in the bigbox format. The chairman intends to focus on growing Wilcon’s footprint in Northern and Southern Luzon as well as in Metro Manila, which he described as major growth areas for the company. But he also has plans to expand the company’s presence in Visayas and Mindanao, specifically citing Iloilo, Cagayan de Oro, Bacolod and Tacloban as target areas. “These are areas that we’ll be present in (in the next few years),” added Belo. 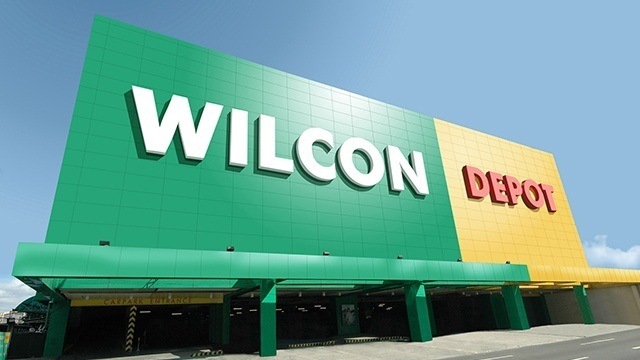 Wilcon’s ambitious expansion reflects the increasingly attractive prospects of the Philippines’ residential construction and home improvement industry. Data from the Philippine Statistics Authority reveal that residential construction around the country has steadily grown in total value and floor area in the past decade, being valued at Php174 billion in 2016. Single-type houses, which according to Belo is Wilcon’s core market, leads the sector in both metrics, accounting for 46 percent of the total value and 54 percent of the total floor area of residential constructions. “Our major product lines are catered to single-detached houses,” shared Belo. In the press briefing, Bosch-Ong also highlighted that the total expenditure on household maintenance, repair and operations has seen consistent growth since 2000. Citing a 2016 study from the Center for Research and Communication of the University of Asia and the Pacific, Bosch-Ong stated that the figure stood at Php138 billion in 2015 and is forecast to grow to Php197 billion by 2021. The COO also pointed out the rising value of imported home improvement items as well as the steady growth of the construction sector as factors adding to the longevity of Wilcon’s industry. “We believe that this industry will still sustain its growth in the next 10 years or so,” says Bosch-Ong. With the IPO, Belo and the rest of Wilcon’s board are excited for the company’s future prospects. In the next five years, Belo estimates that its net selling space will reach more than half a million square meters, almost doubling the 272,000 square meters it had as of September 2016. "With the IPO, we get the money from the public so we can start doing the projects faster," says Belo, referring to its aggressive store expansion. “That's why we’re planning to open 28 more branches in the next five years.” That implies building around five or six new branches a year. Two years ago, he told Forbes Philippines he was eyeing to open two or three branches a year. In the Philippines these days, that is what it means to be optimistic. Which Industries are Creating Wealth for PH’s Billionaires?